Police arrested a man for DUI in Holiday, Florida on February 6 after they say he danced during his field sobriety test and told police he believed he was driving in a different city. Needless to say, he did not pass the test. Deputies in Pasco County found Christopher Larson, 33, asleep at the wheel of his truck with his foot on the brake. Before the video began, authorities said they found Larson in his parked vehicle, which was running. A deputy had to jump inside and hit the brakes to avoid crashing into a fence. The deputy administered a field sobriety test and asked Larson to complete some simple tasks to demonstrate his motor control - but instead Larson busted a couple moves. Local media reported that deputies said Larson had a blood alcohol content of 0.28, three times the legal limit of 0.08. 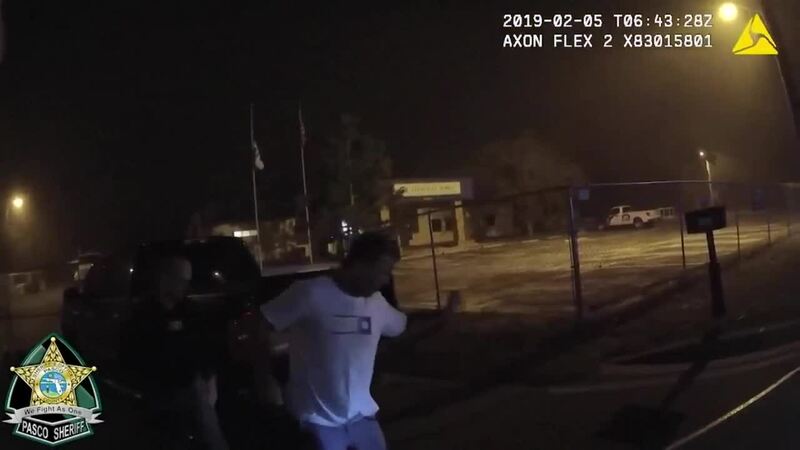 At one point he turns towards the officer with the body camera, who asks him if he's completed the exercise, to which he responds, "no, not really".